Are you getting your required daily dose of water? Your might not be replacing the water in your body as fast as your body is using it.Your body needs its water. So how do we know whether we are lacking this miracle fluid in our body? 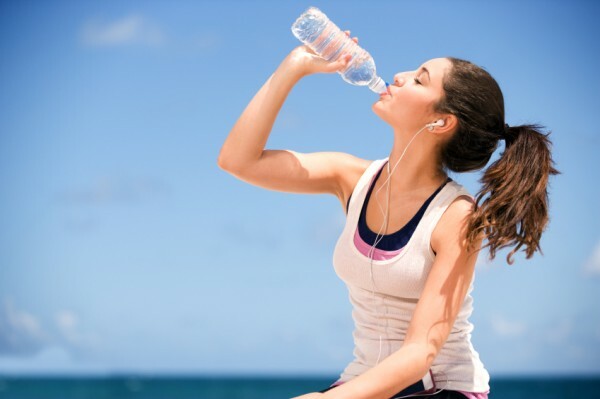 Dry mouth-If you are constantly reaching for your water bottle, it is very likely that you are dehydrated. Your dry mouth is a sign sent out by your body, that it needs water. Color of urine-If your urine is not clear and yellow or brown in color, then it is a sign that your body is not getting enough fluids. Your kidneys are not having enough fluids to flush out the body’s toxins. If you want to know if you’re getting dehydrated, take a look at your pee. Constipation-Water helps in getting the waste out of your body. So If there is lack of water, the body finds it more difficult to push the waste out of the body. Hence, the constipation. Fatigue and Dizziness-When there is not enough water in your body, blood flow to your brain decreases, thereby causing lowered pressure. So if you’re feeling dizzy after a workout, do not wait to drink an extra bottle of water. The decreased water levels in your body prevents the body from performing its regular body functions, so might also feel tired if your are dehydrated. So drink plenty of water and keep dehydration at bay. Your body needs it to be healthy.